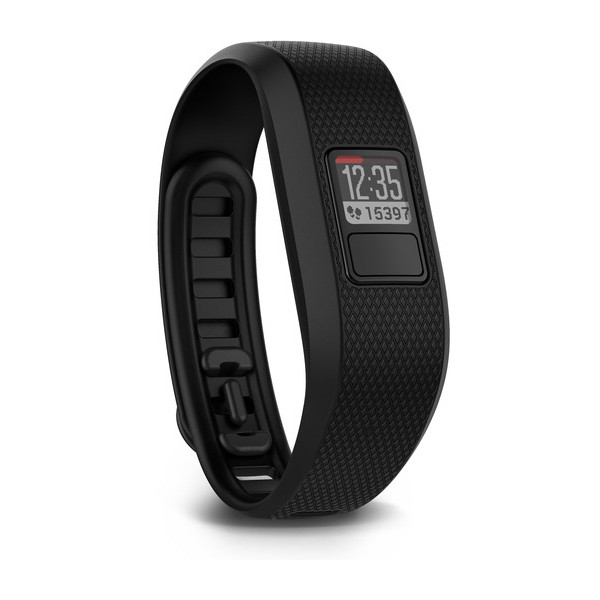 Garmin’s Vivofit 3 Step Counter is an excellent and compact way to track your fitness throughout the day. It wears light on the wrist, and comes with simple and practical features to keep up on your fitness progress. It includes an accelerometer, step counter, calorie counter, and sleep monitor. It automatically starts and stops based on your walking activity, and automatically sets daily step goals for you.